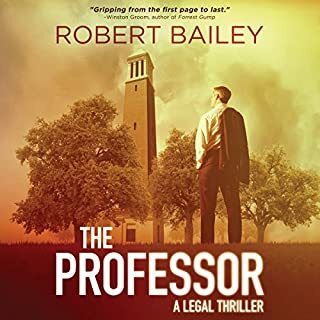 Disillusioned with her corporate legal career, attorney Charlotte Ambler volunteers to handle the final appeal of Christopher Ritter, a Florida death row inmate whose execution is imminent. Ritter had been a prominent biologist before being convicted 10 years earlier for the brutal murder of a prostitute. He denies killing the woman but is tormented by guilt for other, secret transgressions. The only appeal he will allow is to prove that he is innocent - a kind of appeal which is almost impossible to succeed. As Ritter relates his sordid life story, Charlotte discovers that innocence is more complicated than she thought. 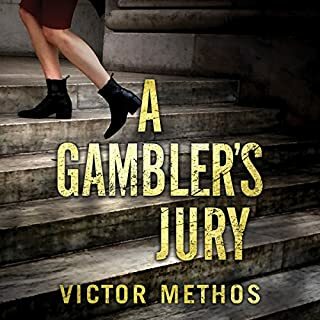 Ritter claims to have been framed by a shadowy figure named Craft, but as Charlotte studies the evidence she concludes that he is a dangerous psychopath who should not go free. Then a piece of evidence turns up that confirms a key part of his story. Pursuing her investigation, she is thwarted by hidden forces that seem determined to see him executed. In a race against the clock, she searches for the elusive Craft and fights to save Ritter in spite of himself. 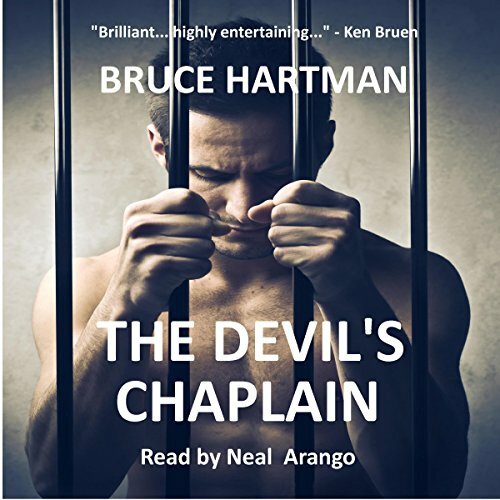 The Devil's Chaplain is a legal thriller in the tradition of Scott Turow and John Grisham - a gripping tale of deception and self-deception, betrayal and violence, in which lawyer and client find common ground in their quest for justice and human values. How To Attract The Right Man To You...Like a Magnet! This book was a mix of sociology and psychology, religion and religiousness, moral and immoral choices, love and marriage, and life and death. It was Nietzsche 101. The main character, Chris Ritter, did not believe in God and had a very loose relationship with right and wrong. He was a not a very likable guy and his choices found him on death row. The majority of the story focused on how to get Chris's death penalty overturned. The social and psychological backstory was intense and held my absolute attention. I loved the narrator. There were quite a few characters to portray and they were all distinct and well-presented. There were some disturbing aspects to this story but it was riveting, nonetheless. I loved this book! 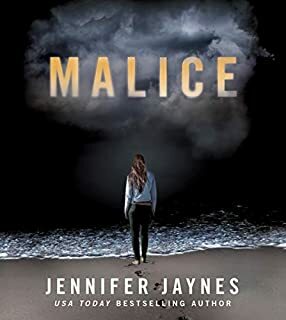 The characters are well developed, the story detailed and intriguing, I was hooked from the first page and I wasn't let go until the book ended. Just when I thought I had everything figured out a new twist would occur that changed something important. The planning this book must have taken is impressive. Beautifully written the story, the story pulled me in and held me emotionally captive, I felt for and with the lead characters. The narration is well done, the delivery was dynamic and well paced, I liked the character voices, they were clear and distinct, however Charlotte's voice doesn't match the authors description of it. First, the narrator sounded like he was talking in a tunnel, which was annoying. I could hear the pauses in the recording. The story was made overly complicated by trying to intertwine “deep” philosophical themes that felt like the author was trying to be overly intellectual. It got really old and I couldn’t wait for this book to end. The female main character was another weak woman character which annoys me greatly. Finally, and I say this with some authority as a criminal defense attorney, the law isn’t presented in a believable or accurate way. Save your money. When the story starts Chris is on death row awaiting his execution. In a retrospective look at his disreputable life, we learn to pity him at first, feel sorry for his fate, reluctantly accept his innocence, finally learn to love his character regardless of his human failings. Charlotte, the lawyer that takes on a case bigger than life, shows how dogged determination can conquer anything. The story is suspenseful, intricate, grabbing. Well written and well narrated, it will absorb your attention until the very end with unexpected twists and a surprising conclusion. The character I liked the least is Chris's wife. I know I should have felt sorry for her, for the way Chris treated her, but I couldn't get myself to sympathize with her plight. She surfaces as a cold person, too vain and entitled. At the end, she gets more than she deserves. 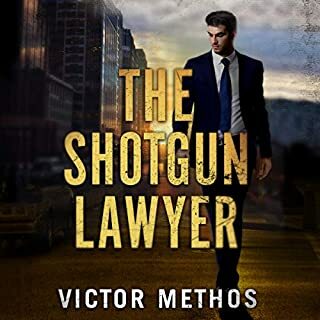 This is a legal thriller that will make you stop and think about human imperfections. This is much more than the story of a man on death row and the lawyers trying to save his life - it's a look at human mortality, the ethics of right and wrong, guilt and innocence, and justice. Chris Ritter is on Floridia death row awaiting his appointed date with lethal injection. When lawyer Charlotte Ambler volunteers to handle Ritter's final appeal, even though it seems like a truly lost cause. As the story unfolds, we learn the series of events that led to Chris' conviction while taking a journey. Charlotte begins her investigation and soon finds herself racing against the clock when new evidence surfaces. This story is much more than the thriller I expected. Hartman creates a space to explore some difficult philosophical questions. The narration is excellent! The voices of different characters are handled expertly and the reading adds to the mystery and tension. It takes a while to get into this story, but once you do, it runs pretty smoothly. The difficult part is understanding the facts as they are presented in relation to the path of the plot. 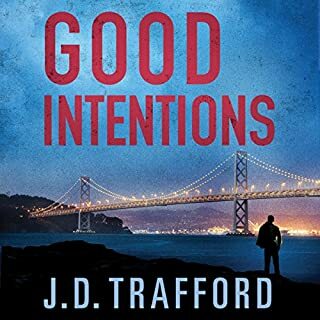 The author does a good job of settling into the story once the exposition is completed, but the exposition is muddled and disjuncted enough to scratch your head more than once. The narrator does really well with all the characters save one - the main character of the story. The cadence and timbre of his voice just isn't suited for a PhD, a man on death row, and man with plenty of moral blameworthiness in his life. Great story! Very suspenseful and filled with twists & turns, it kept my interest throughout. I'm really into forensic psychology and psychiatry and these types of stories are so interesting, getting into their mind to try and figure them out. That's why I LOVE Stephen King, no one can get into someone's head better than he. So, for suspenseful and tense stories, this one takes the cake. It is a tense and engaging story. The author does a masterful job of sprinkling in clues that keep you guessing. The narration was very well done. Definitely worth checking out. This was a super intense audio and I couldn't stop listening. Narration was really well done. This book is full of twists and turns. Just when I thought I knew what was happening, I found out I didn't. It was very entertaining and full of action. If you enjoy pondering existential questions like: do people have souls, does good and evil really exist, ss there a real Devil...well...this book is for you. The narrator had just the right tone for the book and portrayed all of the characters in a believable way. Overall, it was time well spent and I thoroughly enjoyed it. To look the truth in the eye and not blink. Ten years ago, Chris Ritter was tried, found guilty and sentenced to death for the brutal torture and killing of Helene Vargas, a prostitute with whom he had been having an affair for several years. It had taken the jury only two hours to convict him. Appeals had been made and lost. Now his time had run out and he was to die from lethal injection in just fifteen days. He still claimed he was innocent of the crime for which he was about to be killed. The Devil's Chaplain is an excellent book in so many ways. Well written and presented, the story alternates between Chris'first person recollections of the events preceding the murder as well as his own musings on his own beliefs and the other people with whom he has contact in the prison, and the ongoing visits of Charlotte both to see Chris and any others who might in any way shine a light on what had happened ten years before. As the date of execution comes ever closer, there is a countdown which grows ever more rapid as hat day approaches, adding real tension to the story. Because as unlikable as the prisoner is, and without knowing what is true and if he was, in fact, innocent or guilty, it is hard not to be drawn into the race to save Chris' life, even if only for a few more weeks. But in addition to being a tension filled detective story, the reader is also given so much extra to think about - the workings of the law and justice system, a belief in good and evil, the theories of evolution, of religion, and the nature of man, all seamlessly slipped into the text. The book is very well performed by Neal WranglingTo look the truth in the eye and not blink." 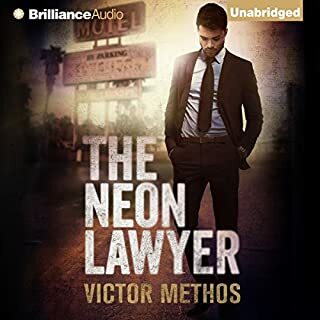 The book is very well performed by Neal Arango, who not only takes on the persona of Chris Ritter himself, but also reads the text with calm clarity, well paced and modulated, as well as also breathing extra life into the other characters with distinctive voicings. So good, he disappeared, leaving only the book to speak for itself. I was extremely fortunate in being freely gifted, at my request, a complimentary copy of The Devil's Chaplain, by the rights holder via Audiobook Boom. Thank you so much. It is not perfect,for me the ending seemed a little rushed, but the book held me, mesmerised, throughout, not knowing until the very last pages, the, dare I say it? truth behind the murder. With such a perfect pairing of author and narrator, this is a book I can warmly recommend to everyone. Excellents, who not only takes on the persona of Chris Ritter himself, but also reads the text with calm clarity, well paced and modulated, as well as also breathing extra life into the other characters with distinctive voicings. So good, he disappeared, leaving only the book to speak for itself. I was extremely fortunate in being freely gifted, at my request, a complimentary copy of The Devil's Chaplain, by the rights holder via Audiobook Boom. Thank you so much. It is not perfect,for me the ending seemed a little rushed, but the book held me, mesmerised, throughout, not knowing until the very last pages, the, dare I say it? truth behind the murder. With such a perfect pairing of author and narrator, this is a book I can warmly recommend to everyone. Excellent. Despite finding the main character, Chris Ritter, a thoroughly unpleasant and unlikable character, this was a most enjoyable listen. Not only that, despite my best intentions, I ended up warming to Chris, and by the end of the book, genuinely felt that he had a chance at a normal life. Of course, therein lies the genius of the book, I totally believed in the character. All the players in this tale were believable, and I found I cared about them very much. I worried for Charlotte, despised 'Billy-Bub and Bubba' and even Teague. Neal Arango, narrating, did an excellent job, with a number of different characters to voice, and most of them male, he succeeded in making each person distinctive, no mean feat. Mr Arango certainly added to the enjoyment of the book. This is my first book by author Bruce Hartman, but it certainly won't be last. A good job done by everyone involved in this Audible production.